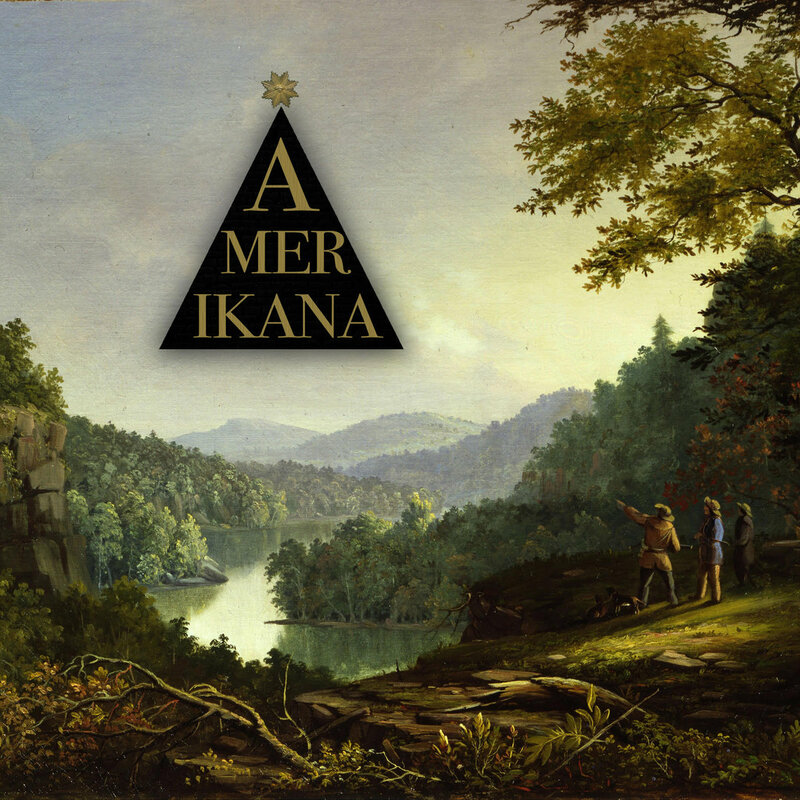 If you call your new album Amerikana it better be bloody good, the implication being that it offers an alternative imagining of a whole genre in one definitive package and a genre so steeped in musical history at that. And when Amerikana hits big it hits big, but for every monumental reawakening such as the dark, doomy psychedelics of ‘Om g’ there is the regurgitated garage-psyche of lead single ‘Wack Magic’ and for every reinvention of the Exile On Main Street wheel such as on ‘Binary Pop’ there is the early-Verve ramblings of ‘Holy Life’. Elsewhere ‘Hard Livin’’ slightly resembles that great lost La’s track ‘Ride Yer Camel‘ (though thankfully a more song shaped listenable version) while ‘Love Is A Big Light’’s “shining down” sentiment, slide acoustic, subtle harmonica and background harmonies wouldn’t be out of place on Screamadelica or Ladies And Gentleman We Are Floating In Space, and therein lies a problem. But it’s the second half of Amerikana that impresses more. ‘PsyOp’ is altogether more stripped back, gone is the swampy reverb in favour of a more percussive early sixties sound at times reminiscent of The Animals or The Beatles’ more experimental stuff, especially in the harmonies and backing vocals if you listen close enough before it eventually dissolves into a looping, droning Amorphous Androgynous-like outro. And on ‘The Highest Meadow’ the band really find their sound; melodic and hymnal with a debt to early gospel (in particular Amazing Grace); it’s authentic but unnervingly original at the same time, and as it slowly builds into something magical you realise how much of what has gone before on Amerikana is so one paced, and it’s a track that would sit high on any Americana/psyche album down the years. Finally, daft closer ‘Pillow Sittin’’ is a straight-up country rocker about wanking and shows the band’s goofier side, what’s not to love, eh? Amerikana is a good album, there’s no doubting that, the title is apt but the quality sometimes lacks as does originality, also apparent in the derivative list of influences that comes with the press release, many of whom I’ve already mentioned. I’m a sucker for pedal steel and harmonica but the dark Steinbeckian tales of grit and dirt, and coming of age themes are also missing in the often-indecipherable vocals for it to be a classic reworking of the genre. With albums in the last 3-4 years by the likes of Horseback (on Piedmont Apocrypha) and DBUK both pushing the Americana sound in new and inspiring directions The Stevenson Ranch Davidians will need to kick on if they are to be held in such esteemed company. Amerikana is released on June 9th through Picture in My Ear records.